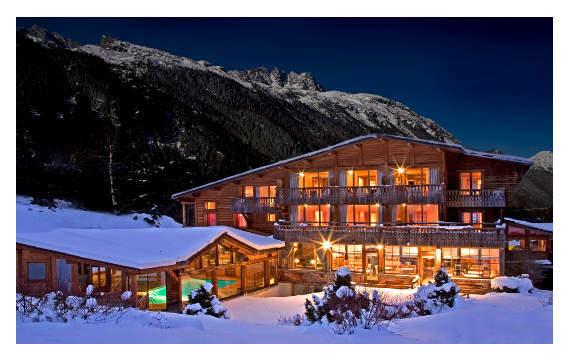 Located in the hamlet of Le Lavancher, between the breath-taking Chamonix Aiguilles and the Argentière Valley, this fantastic setting is guaranteed to amaze anyone with an interest in the nature surrounding the Mont Blanc mountain range. Its 23 guest rooms feature natural wood panelling and provide all the comfort you would expect of a 4* property, reflecting the style of the various little lounge areas arranged around the central fireplace. Our unmissable lounge-bar is the perfect place for a game of billiards, or even for sampling one of the various house cocktails on offer, not to mention its extensive selection of malts that is sure to be a hit with connoisseurs. Chef Éric de Ganck invites you to discover his culinary delights at Le Rosebud, which offers some of the most amazing cuisine you will find in the Valley, according to those in the know. 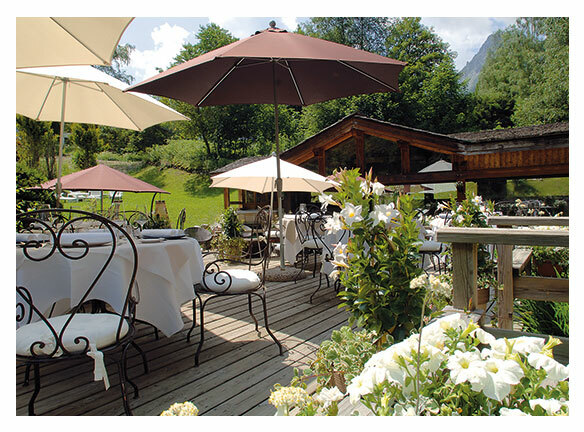 We have 3 room types overlooking the peaks of Chamonix and the surrounding nature. 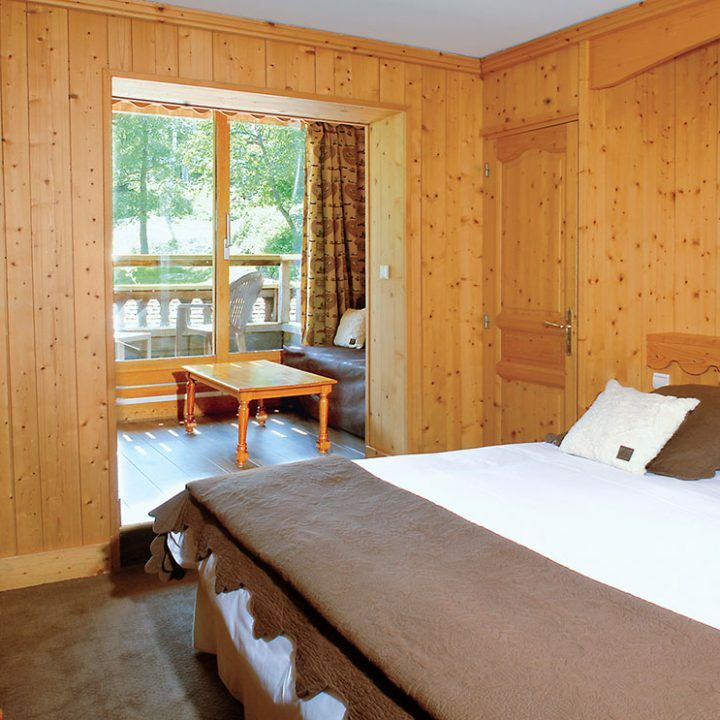 Our rooms are decorated in a traditional style with wood panelling and an alpine feel. Each room has a bathroom/shower room and some also have a small loggia that can accommodate a 3rd person. An alpine feel and views of the spectacular Chamonix Aiguilles or Aiguilles Rouges. Most rooms can accommodate a 3rd person. 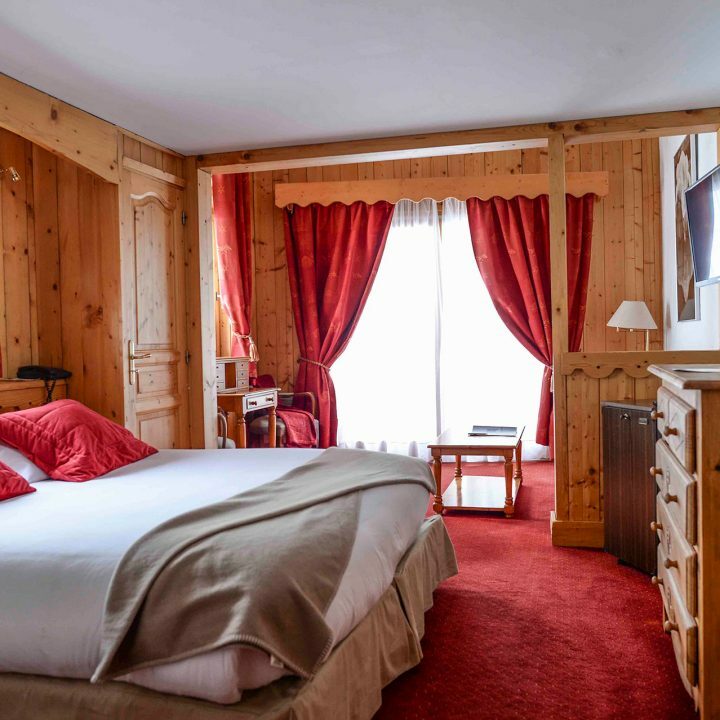 The Balme Room faces the Argentière Valley and whilst it is smaller than its big sister Aiguilles, it has nevertheless maintained every inch of its charm and comfort, with a cosy feel to boot. The top pick among our regular guests. Combining comfort with relaxation thanks to their jacuzzi bathtubs, these rooms are more spacious and luxurious. 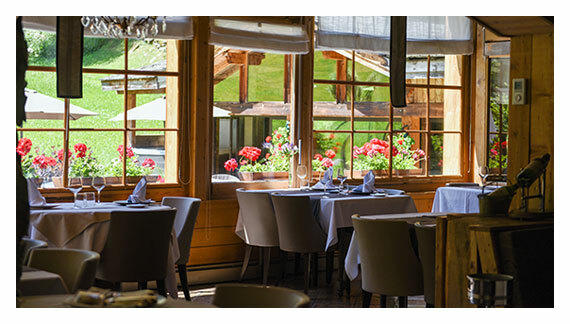 Chalet Emmanuel is a prime example of Le Lavancher’s heritage. 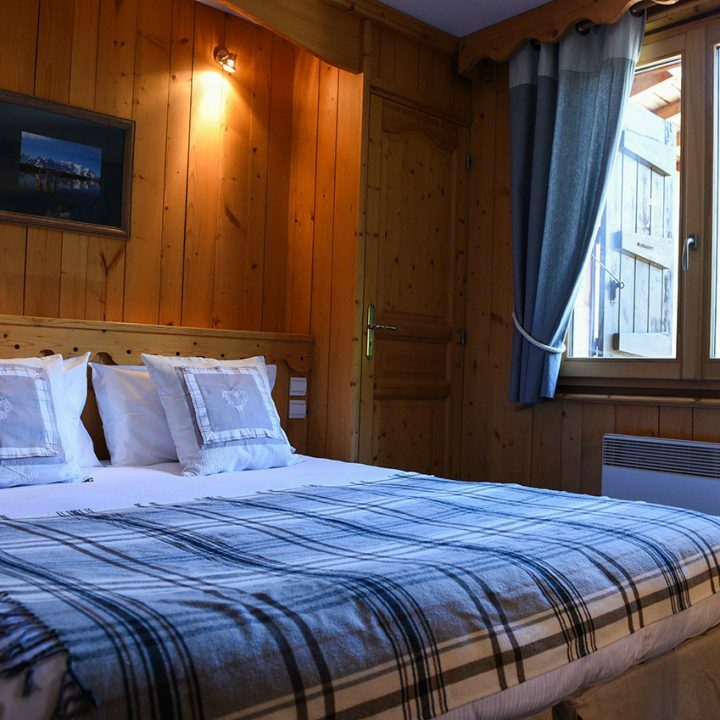 The 90m2 chalet can accommodate up to 6 guests, making it perfect for a break with family or friends. 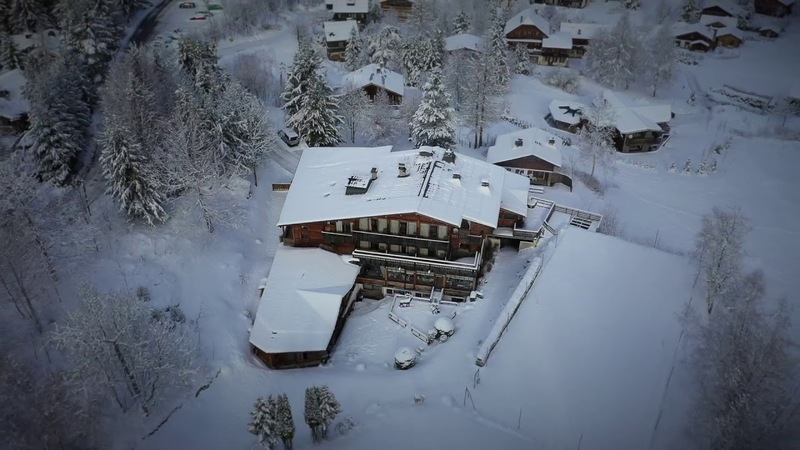 It is located adjacent to the main chalet, where you can access the hotel’s facilities (swimming pool, jacuzzi, hammam, sauna, tennis court, etc. 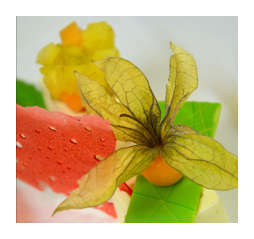 ), including the bar and restaurant. Chalet Hôtel Le Jeu de Paume**** offers a wide variety of leisure facilities including a swimming pool, sauna, hammam and indoor and outdoor jacuzzis, along with a range of Carita treatments and massages, including firming, toning and relaxing treatments to ensure you leave feeling revitalised. The flavours of the surrounding alpine region, a nod to Valdôtain, a hint of Léman and a number of Asian favourites all feature among the dishes prepared by our chef Éric De Ganck, whose original and inventive menu is based on 3 themes, namely Flavours of the World, Regional Cuisine and The Classics. 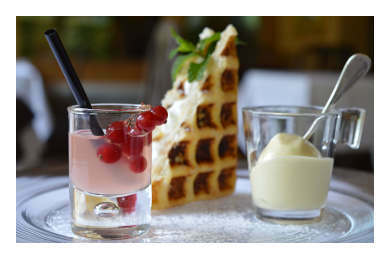 Be sure to check out the original and equally amazing dishes on offer during your stay!